Have too much stuff on your computer and don’t know what to do with all of it? This Cult of Mac Deals offer will make sure that your problem isn’t only solved…but stored. 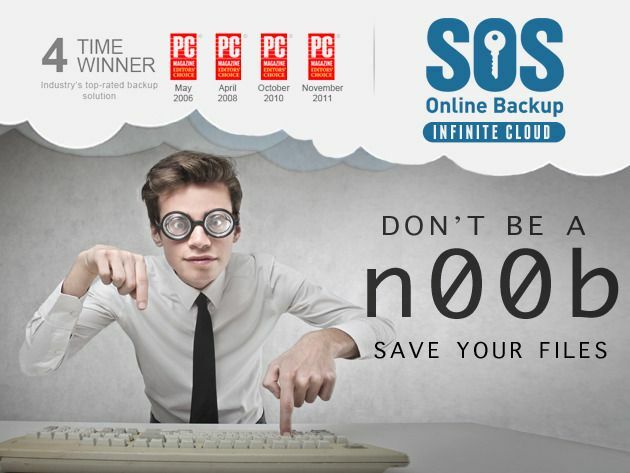 SOS Online Backup is an award-winning automatic backup web application that will have you covered on your PC or Mac and an unlimited number of mobile devices: Androids, iPhones, and iPads. Now you can backup an infinite amount of data for two years in a secure online backup application so you can share, access, and maintain all of your important files right in one place…all for only $59.99. If you’re looking for a secure online backup solution, look no further than Carbonite. There’s a reason they’re a leading provider of cloud backup solutions for home and business users in over 100 countries. 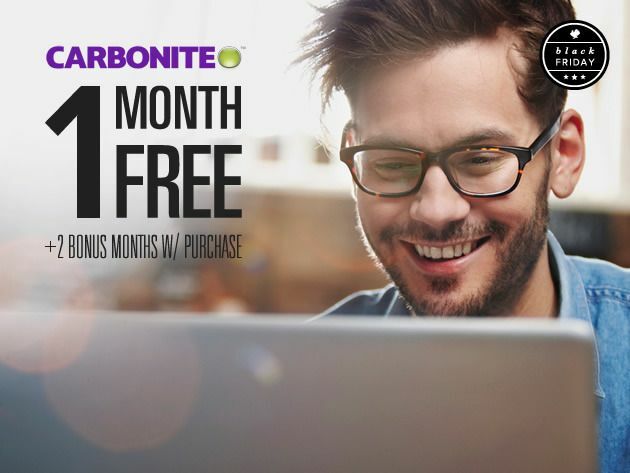 And with one free month of unlimited online backup from Carbonite courtesy of Cult of Mac Deals, the files on your computer – photos, documents and music – will be backed up automatically and accessible at any time no matter what device you’re using. Never suffer from a system crash, failed hard drive, or dip in system performance again. The Stellar Drive ToolBox for Mac is a comprehensive bundle of utilities to keep your system healthy and optimized. All 14 utilities help optimize hard drive performance, protect your data and provide an easy way to repair your hard drive’s volumes – it’s all you need to optimize, repair, and maintain your Mac. And Cult of Mac Deals has it for just $49.99 – 49% off the regular price of $99! No matter how computer-savvy you are, sometimes you just can’t avoid issues like a failing hard drive. For those emergency situations, Disk Drill Pro can be your savior. If you lose any data, you just have to click a button and it displays a list of files that can be potentially recovered. Save yourself a ton of time and heartache and get peace of mind with this app. And right now you can save a ton of money as well by taking advantage of this limited time offer from Cult of Mac Deals. Pick up Disk Drill Pro 2.0 for only $29.99 – that’s 66% off the regular price! Have you ever wanted to copy and send files to and from your Mac at any time…and from any device? Cult of Mac Deals has got you covered – thanks to Spotdox. With Spotdox, you can access any file on your Mac from anywhere. Spotdox is an add on for Dropbox that gives you remote access to all of your files, any time, from any device so you’ll never get stuck without that important file or folder again. And Cult of Mac Deals is offering Spotdox for life for only $19 – a savings of 66% – during this limited time offer. Your Mac is an amazing machine, and like a sports car, requires regular maintenance to keep it running at peak efficiency. Take all the hassle and guesswork out of cleaning up your system with CleanMyMac 2. And with this exclusive Double Pack promotion from Cult of Mac Deals a single license will keep two of your Macs clean and clutter-free – and it’ll do that for only $34.95! If you’ve been looking for a bundle of UI assets that will empower designers at any level to create professional looking sites with a world-class interface, then this offer from Cult of Mac Deals will do the trick. From frequently used UI elements to iPhone App templates & email newsletter templates, The UI Design Bundle has it all – and for just $39! Whether you’re an established designer or just starting out this is the perfect addition to any design resource toolbox. Cult of Mac Deals is ffering you a great deal on a service that makes backing up easy. With SOS Online Backup you can backup 100 GB of your files for three years – and you can do it in a secure online backup application so you can share, access, and maintain all of your important files right in one place. This award winning automatic backup web application that will have you covered on up to five PCs, Macs, Android devices, iPhones, and iPads. With this deal you can free up 100GB of space on your gadgets for just $29. That’s a savings of 88%! Cult of Mac Deals wasn’t just going to let World Backup Day pass you by without offering you a great deal on a service that makes backing up easy. With SOS Online Backup you can backup 100 GB of your files for three years – and you can do it in a secure online backup application so you can share, access, and maintain all of your important files right in one place. This award winning automatic backup web application that will have you covered on up to five PCs, Macs, Android devices, iPhones, and iPads. I don’t know what I do without Dropbox. It is an essential part of my digital workflow. Dropbox allows me to have my files wherever I want at anytime I want, and that is something that is pretty much priceless. If you’re not already using Dropbox, you need to start. But even if you are a Dropbox user like myself and so many others, Cult of Mac Deals has a giveaway that will take your Dropbox experience to a whole new level. That’s right. We’re offering you a chance to win a Dropbox Pro account for life, valued at $9600!